Deciding on what dog movie to purchase can be a tad tricky, considering just how many options you have. What is more, it is rather challenging to know if the one film that looks appealing to you has a storyline that you will like following. Because we are well aware of all these factors, we have composed a list of titles that have been critically acclaimed and that have received excellent ratings from previous viewers. So, start reading and make up your mind! A classic of this genre, Hachi is a movie based on a true story from Japan, and it was directed by Lasse Hallström. This choice is likely to make you weep by the end as it is quite an emotional film that explores themes such as loyalty and the power of the relationship that forms between a dog and its owner. However, you should know that it is not necessarily one of those sappy or overwrought movies that tend to get boring. Instead, it is a beautiful story that will make you realize just how special that relationship between a pet and a human is. A Dog’s Purpose is another heartwarming alternative that you should consider. This choice was based on a novel written by W. Bruce Cameron. The story follows the life of a dog that discovers that the meaning of its life is to bring laughter and love to the lives of the humans that surround it. The main advantage of the movie is that it presents reality from the point of view of the dog and not that of the owner. This option also includes a couple of deleted scenes, outtakes as well as a part entitled ‘A writer’s purpose’. If you are looking for a movie that is suitable for children to watch, Hotel For Dogs might be just what you need. Although the story arc is a bit predictable, the adventures that it follows feature lessons about loyalty, loss, the sense of duty and the importance of friendship. What is more, according to a viewer, one does not have to be a child or a dog lover in order to like and appreciate this option. Because every subplot reaches a conclusion, in the end, you will be left with a sense of content and happiness. 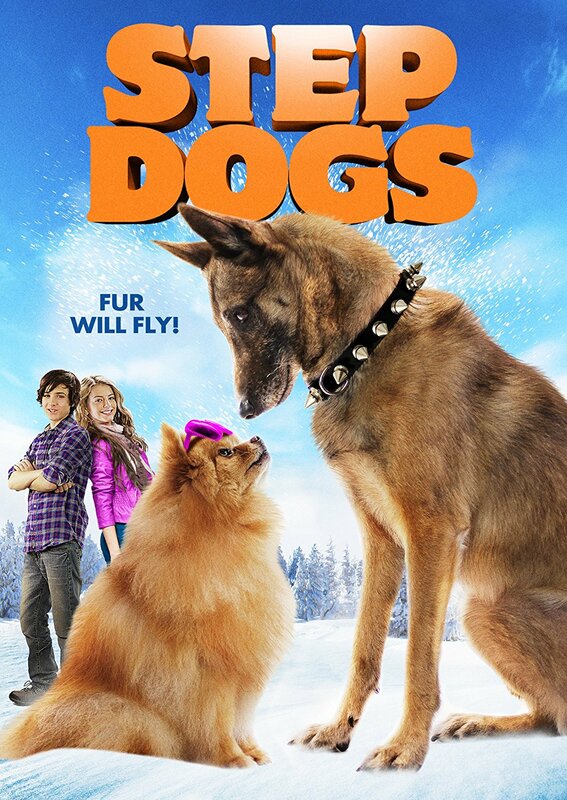 As a plus, this film is filled with funny scenes and the dogs that star in it are adorable. Another film that you might enjoy watching with your family is Benji. The central star of this G-rated alternative is a fluffy dog named Benji. What makes this choice remarkable is that the pet that it features is able to transmit a lot of emotions and ideas without a narrator speaking on its behalf. As a plus, this movie has won the Golden Globe for the best original song ‘I Feel Love’, the actual theme of the film. Previous viewers of this option appreciated that it is pretty clean as it does not include scenes that feature violence or bad language. However, given that it is an older movie, it might be considered a little slow by today’s standards. If you have a soft spot for animations, All Dogs Go to Heaven might be the choice for you. This musical explores the conflict between good and evil, and it supplies its viewers with an interesting take on subjects such as friendship and caring. Although, as the title indicates, all dogs go to heaven, the story suggests that not all of them are worthy to do so. Because it involves crime and characters that seek revenge at all costs, this movie might not be suitable for children of all ages. Still, if you loved this movie when you were little, re-watching it might provide a fun trip down memory lane! This box set contains all the six Beethoven movies. This alternative is very funny, and it is usually considered a good choice to watch with your family. As a plus, the set includes deleted scenes, gag reels, bloopers and a commentary that features director Mike Elliott and the stars of the film, Jonathan Silverman, and Moises Arias. When it was first released, the movie received mixed reviews from the critics. However, even now, children seem to like it, which is a reason why it still has a lot of fans. According to the feedback comments, previous buyers enjoyed watching these movies. If you are looking for a gift for a mom that simply loves dogs, this mother’s day gift set that includes a card and a gift wrap should contain all you need. This film is all about giving romance another go. A school teacher decides to go on a date after her sister signs her up for online dating. Because she agrees to meet her potential partner at the local dog park, she needs to use her brother’s dog to spark the romance between her and her new suitor. The movie is filled with funny scenes, and it is regarded as a good choice for grown-ups and romantics. Scooby-Doo is a character that needs no introduction. This box set includes the complete first and second seasons of the animated show, as well as a couple of special features such as Funky Fashions and the America Loves Scooby-Doo Music Video. This set is safe to be watched by children as it does not contain unsuitable topics or foul language. However, if you intend to see it for documentary reasons, you should know that it does not include interviews with the original writers or insides about the show and its original broadcast run. Still, the video is of high quality and very entertaining. If you love John Travolta or Miley Cyrus, this Bolt DVD will surely amuse you. This Disney animation follows the adventures of Bolt, the star of a big TV show in Hollywood that is accidentally shipped to New York City, away from Penny, its owner and co-star. This movie is entertaining because it features songs by Travolta and teen sensation Miley Cyrus. Moreover, the film is filled with adventures and lessons about life. Because it was released quite recently, this option will undoubtedly be well received by children. Overall, this choice is charming and delightful, and it can be watched by the entire family. Also, you can be sure that your pets will stay right beside you on their dog pads throughout the movie! If you are searching for a film collection that includes plenty of options that feature dogs, this is the product for you. This set consists of titles such as Puppy Love, Miracle Dogs or The Retrievers, all movies that can be enjoyed by the entire family. The stories that this DVD features are heroic and inspirational and they will certainly keep you on the edge of your seat. You can also offer this set as a gift to your friend that loves dog movies. Even more so, after watching them, you will surely find the inspiration to go shopping for new dog collars for your pup! Since the 1980s, producers have started to speculate their audience’s love for dogs, which resulted in a plethora of movies starring the man’s best friend. This is why, suppose you’re interested in watching the best dog movies, some aspects should be taken into consideration so that you make a perfect choice for that lazy Sunday. From dramas to comedies, there isn’t a movie genre that has missed the trend of using dogs as guest stars, which means you should do your research properly before adding a product to your cart. As the market is overflowing with dog movies to watch, you need to make sure that the dog movies you’re watching are actually some of the best productions for sale, and not just mediocre. While, as a dog lover, you may believe that no movie with a dog in it can actually be bad, cinematography should be about the most qualitative products out there. From the best movies with dogs to specific genres such as the best police dog movies, the movie industry has provided us with plenty of materials to choose from. Moreover, watching a movie, regardless of its genre, creates a set of expectations, which makes it all the more important to ensure choosing the one that best suits your type. Given the plethora of productions starring dogs, choosing a good movie isn’t an easy thing. That’s why, out of concern for your quality time spent in front of the TV, we have put together a short buying guide to help you make this decision easier. Among the many factors that need to be taken into consideration when picking the perfect movie to watch at home, whether the story took place in real life or not is one of the crucial factors that can weigh in your decision. If you choose to see a reality-based movie, you should choose whether you want a cinematic view of the story or a proper documentary about a certain animal’s life, depending on how you’re feeling or what kinds of feelings you wish to trigger. A good screenplay should impress its audience, careless of the reality behind the story told. Additionally, if you’re looking for a specific moment in time or a specific animal that you’re interested in, it seems that your choice is already made. However, if you’re only trying to brighten your life with a heartwarming story, you may want to decide if your pursuit is purely educational or you are just looking for a quality piece of entertainment. Depending on the answer to this question, your film choice could be a documentary or a fictional production. Another relevant point that ensures an optimal decision when it comes to the best-suited picture for your taste is the kind of general tone that you want the film to have. Most of the movie watchers divide themselves between drama lovers and comedy lovers. However, just like the polarization between cat people and dog people, this classification seems quite artificial. The truth is that, depending on your mood, you may want to opt for one of the two alternatives. Deciding to see a comedy doesn’t make you a shallow person, just as going for a sad ending doesn’t automatically turn you into an existential nihilist. What matters most what you think will make your experience more powerful, and including your mood into the equation makes the entire decision more suited to your needs. There are two types of people here: the ones who embrace their emotional state of mind and the ones who wish to change it through any means possible. While there is nothing wrong with either of these tendencies, one thing you definitely should look for is a film that responds to your emotional needs. Since we’ve established that there are plenty of productions starring dogs as main characters, another significant criterion on which you should base your purchase decision is the popularity of the story. Do you want to see an underdog production or an all-time–favorite-star? Because this is a matter of preference, this criterion is inherently subjective. If you’re not sure which of the two types of people you are, you may want to think of your general preferences in terms of cinematic productions. If this doesn’t leave you with an accurate response, you can always resort to the following question: how many movies have you seen that have your favorite animal in them? If you’re new to this niche, maybe you should look for the most iconic productions of all time and start from there, whether they are comic or dramatic. Consequently, if you’ve seen most of the archetypal films, you should dig deeper and look for an underappreciated picture. This last point should reflect your preference to watch films at home or at the cinema, rather than anything specific about the plot. The setting is equally important as the tone of the movie, how well the actors play their roles or how well the script is written when it comes to your overall experience. If you would rather watch a motion picture at home, in the comfort of your pajamas, being able to laugh or cry as loud as your lungs allow you to, you should look for older productions that you can rent or purchase. 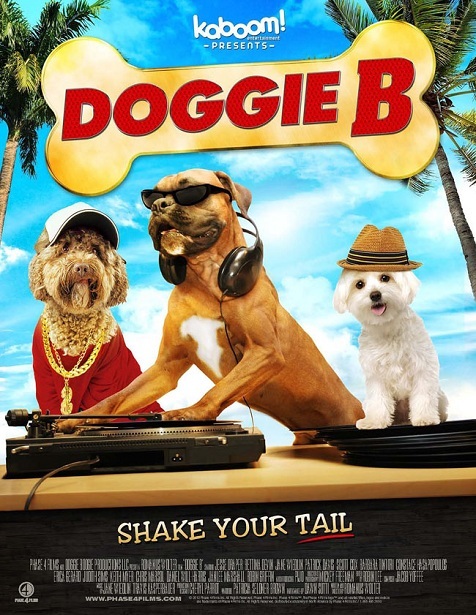 However, if you prefer a higher quality of the video or the sound, maybe it’s time to make a reservation for the latest box office production starring dogs. Regardless of what you decide, make sure you are doing your best to enhance your cinematic experience, and watch for spoilers. The internet is cruel in this respect, and you should be careful not to stumble upon relevant plot details while doing your research. From our experience, trailers are not always the safest choice, either.